1 Set x YWT10003. 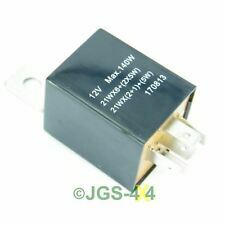 You are purchasing a 3 Pin Indicator Flasher Relay. Land Rover Defender 90 / 110 / 130. Land Rover Discovery 1. Peugeot RCZ. This part does not fit all engine models. Peugeot Citroen Radiator Fan Heater Multipurpose Relay 12V 35A. Peugeot Traveller. Peugeot 106 (Restyling). Peugeot 508. Peugeot 206. Peugeot 206 . OEM REF: 4162892 / 1C1T13350AA / YC1T13350AA / 364-0002. INDICATORSWITCH FLASHER RELAY WITH 5-PIN CONNECTOR. MOUNTING TYPE: CLIPPED. Green relay,part no.93BG13A025A1B, as in picture. Ford KA,1.3,1999,3door. 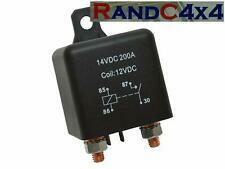 Flasher unit relay PRC8876 12v for Land Rover Defender 7XD (Wolf). Part number - YWB500220. Land Rover Ranger Rover L322. Land Rover Ranger Rover Evoque. Land Rover Ranger Rover Sport. Land Rover Defender 2007 onwards. Land Rover Discovery 3 & 4. Terrain Vehicles LTD is a family run Independent Land Rover and Range Rover specialist garage. New flasher unit for indicators suitable for 24v Land Rover Series models. New Indicator Flasher Unit. Land Rover Series 24v models. Land Rover Series. In many cases your problem is easily resolved by a phone call. 1 x AMR2341. You are purchasing aLand Rover Defender & Range Rover Classic Wiper Relay Delay Unit. Land Rover 90 / 110 & Range Rover Classic. Leacy Classics - Suppliers of Classic Parts for Classic Cars. PART NUMBER:PRC8876LED. - THIS IS A HIGH QUALITY UPGRADE FLASHER UNIT. DEFENDER 1987 - 2006. DEFENDER 2007 ONWARDS. Model year Volvo 960: -07/1994. Model year Volvo 760: 08 / 1987-. VOLVO 760 (704, 764) 2.4 Turbo diesel (704) Saloon 04.87 - 07.92 80 109 2383 from year 08/1987 9101-413. VOLVO 760 (704, 764) 2.3 Turbo (704) Saloon 08.84 - 10.88 134 182 2316 from year 08/1987 9101-385. SAAB 900 I (AC4, AM4) 2.0 c 11.80 - 08.84 79 108 1985 9107-314. SAAB 900 I (AC4, AM4) 2.0 c 11.80 - 08.84 79 108 1985 9402-314. SAAB 900 I (AC4, AM4) 2.0 i 09.85 - 08.90 81 110 1985 9107-322. SAAB 900 I (AC4, AM4) 2.0 i 09.85 - 08.90 81 110 1985 9116-313. Comparison Table. OE-numbers comparison. For function: Operation Air Conditioning. VOLVO 240 (P242, P244) 2.1 08.74 - 07.80 90 122 2127 Model year: from 08/1980 5016-345. VOLVO 240 (P242, P244) 2.1 08.74 - 07.80 90 122 2127 Model year: from 08/1980 9101-343. FINDING CODE:70202. OTHER BITS THEY WILL BE SHOWED IN THE PICTURE. 1 x Relay Central. VOLVO 240 (P242, P244) 2.0 Saloon 08.76 - 07.79 66 90 1986 5016-357. VOLVO 240 (P242, P244) 2.0 Saloon 08.76 - 07.79 66 90 1986 9101-357. VOLVO 240 (P242, P244) 2.1 Saloon 08.74 - 07.75 71 97 2127 5016-344. Relay window cleaning wipers rear Volvo 240 260 740 760 940 960. VOLVO 240 Kombi (P245) 2.1 08.75 - 07.80 74 100 2127 5016-352. VOLVO 240 Kombi (P245) 2.1 08.75 - 07.80 74 100 2127 9101-352. VOLVO 240 Kombi (P245) 2.1 08.80 - 07.84 80 109 2127 5016-363. VOLVO S40 II (MS) 2.4 Saloon 01.04 - 1 2.1 0 103 140 2435 9101-ABA. VOLVO S40 II (MS) 2.4 Saloon 01.04 - 1 2.1 0 125 170 2435 9101-884. VOLVO S40 II (MS) 2.4 Saloon 01.04 - 1 2.1 0 125 170 2435 9101-AAZ. Relay air conditioning fuel injection of secondary air pump Volvo 960 C70 S70 S90 V70 V90. Volvo C70 S70 V70 function: secondary air pump, fuel injection. VOLVO C70 I Convertible 2.0 Cabriolet 03.98 - 10.05 132 180 1984 Function: secondary air pump, fuel injection 9101-790. Relay Indicator Blinkerrelais Volvo S40 V40. VOLVO S40 I (VS) 1.8 Saloon 07.95 - 08.99 85 115 1731 9101-722. VOLVO S40 I (VS) 2.0 Saloon 07.95 - 1 2.0 3 100 136 1948 9101-723. VOLVO S40 I (VS) 2.0 Saloon 07.95 - 1 2.0 3 100 136 1948 9101-821. Relay fuel pump fuel pump Saab 99 900 I. Saab 900 model years:-07 / 1984. Model year Saab 99: 08 / 1977 -. SAAB 900 I (AC4, AM4) 2.0 c Saloon 11.80 - 08.84 79 108 1985 up to year of manufacture 07/1984 9107-314. Relay Volvo 850 940 C70 S40 V40. Function Volvo C70 hatchback. Volvo 850 Function: Air Conditioning. Function Volvo 940: fog lights, rear fog light, high beam. VOLVO 850 (LS) 2.0 06.91 - 12.96 105 143 1984 For Function: Air Conditioning 9101-487. VOLVO 850 (LS) 2.0 Saloon 06.91 - 12.96 105 143 1984 up to year of manufacture 07/1996 9101-487. VOLVO 850 (LS) 2.5 Saloon 06.91 - 07.94 103 140 2435 up to year of manufacture 07/1996 9101-491. VOLVO 850 (LS) 2.5 Saloon 08.91 - 12.96 125 170 2435 up to year of manufacture 07/1996 9101-488. SAAB 9-3 (YS3D) 2.0 i 02.98 - 09.02 96 131 1985 9116-377. Comparison Table. SAAB 9-3 (YS3D) 2.0 Turbo 02.98 - 09.02 136 185 1985 9116-379. SAAB 9-3 (YS3D) 2.3 i 02.98 - 09.02 110 150 2290 9116-381. OE-numbers comparison. VOLVO 240 (P242, P244) 2.0 Saloon 08.76 - 07.79 66 90 1986 5016-357. VOLVO 240 (P242, P244) 2.0 Saloon 08.76 - 07.79 66 90 1986 9101-357. VOLVO 240 (P242, P244) 2.1 Saloon 08.74 - 07.75 71 97 2127 5016-344. Relays power / fog light Volvo S60 S80 V70 II XC70-07 / 2004. Volvo S60 2.4 Saloon 11.00 103 140 2435 until year 07/2004 9101-845. Volvo S60 2.4 Saloon 11.00 103 140 2435 until year 07/2004 9101-AAS. Volvo S60 2.4 Saloon 11.00 125 170 2435 until year 07/2004 9101-846. Fuel pump relay, fuel pump Volvo 850 S70 V70 C70. VOLVO 850 (LS) 2.0 Turbo Saloon 08.93 - 12.96 155 210 1984 9101-729. VOLVO 850 (LS) 2.0 Saloon 06.91 - 12.96 105 143 1984 9101-487. VOLVO 850 (LS) 2.0 Saloon 06.91 - 12.96 105 143 1984 9101-727. Volvo 740 760 940 960 main power relay. VOLVO 740 (744) 2.3 08.87 - 07.92 85 115 2316 9101-436. VOLVO 740 (744) 2.3 08.87 - 07.92 85 115 2316 9101-470. VOLVO 740 (744) 2.3 09.85 - 1 2.8 9 83 113 2315 9101-412. VOLVO XC70 II D3 AWD Combination 08.11 120 163 1984. VOLVO XC70 II 3.2 AWD Combination 08.07 175 238 3192 9101-AGJ. VOLVO XC70 II 3.2 AWD Combination 08.07 175 238 3192 9101-AMB. VOLVO S60 II 2.5 T5 09.11 186 253 2521. Relay window cleaning wipers rear Volvo 240-260. VOLVO 240 Kombi (P245) 2.1 08.75 - 07.80 74 100 2127 Model year: 08 / 1978- 5016-352. VOLVO 240 Kombi (P245) 2.1 08.75 - 07.80 74 100 2127 Model year: 08 / 1978- 9101-352. GENUINE LAND ROVER 24V TRASISTORIZED TYPE HELLA FLASHER FOR MILITARY FFR & 24V LIGHTWEIGHT, 101FWC & SERIES VEHICLES. LAND ROVER TREASURE! PART NUMBER. Comparison Table. OE-numbers comparison. Model year Volvo 240 260: 08 / 1977-. Model year Volvo 740 760:-07 / 1987. VOLVO 240 (P242, P244) 2.0 Saloon 08.76 - 07.79 66 90 1986 5016-357. VOLVO 240 (P242, P244) 2.0 Saloon 08.76 - 07.79 66 90 1986 9101-357. Model year Volvo 940: all. Comparison Table. OE-numbers comparison. Model year Volvo 240: 08 / 1984-. Model year Volvo 740 760: 08 / 1986-. VOLVO 240 (P242, P244) 2.3 08.84 - 07.86 81 110 2315 Model year: from 08/1984 9101-388. Air without air pump relay Volvo 850 S40 V40 S70 V70. VOLVO 850 (LS) 2.0 06.91 - 12.96 105 143 1984 9101-487. VOLVO 850 (LS) 2.0 06.91 - 12.96 105 143 1984 9101-727. VOLVO 850 (LS) 2.5 06.91 - 07.94 103 140 2435 9101-491. Overdrive relay Volvo 240 740 940. VOLVO 240 (P242, P244) 2.0 Saloon 08.76 - 07.79 66 90 1986 5016-357. VOLVO 240 (P242, P244) 2.0 Saloon 08.76 - 07.79 66 90 1986 9101-357. VOLVO 240 (P242, P244) 2.1 Saloon 08.74 - 07.75 71 97 2127 5016-344. Overdrive relay Volvo 740 760 940. VOLVO 740 (744) 2.3 Saloon 09.85 - 12.89 83 113 2315 from model year 08/1987, for transmission type: M46 9101-412. VOLVO 740 (744) 2.3 Saloon 08.84 - 07.90 84 114 2316 from model year 08/1987, for transmission type: M46 9101-386. Model year Volvo C70 S70 V70 V70 XC:-07 / 1998. Model year Volvo 960 S90 V90: all. Model year Volvo 760: 08 / 1987-. VOLVO 760 (704, 764) 2.4 Turbo diesel (704) Saloon 04.87 - 07.92 80 109 2383 from year 08/1987 9101-413. 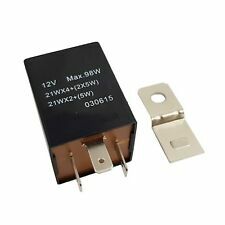 Heavy duty make or break (on/off) relay. 1X(Durable & Firm & Stable. Perfect for universal 12V applications. Rated Current:120A. ). VOLVO 760 Kombi (704, 765) 2.8 (765) Combination 08.86 - 08.90 115 156 2849 from year 08/1987 9101-418. VOLVO 760 Kombi (704, 765) 2.4 TD Interc. (765) Combination 08.87 - 07.92 85 116 2383 from year 08/1987 9101-431.